This is a hard-to-find 27.5mm. 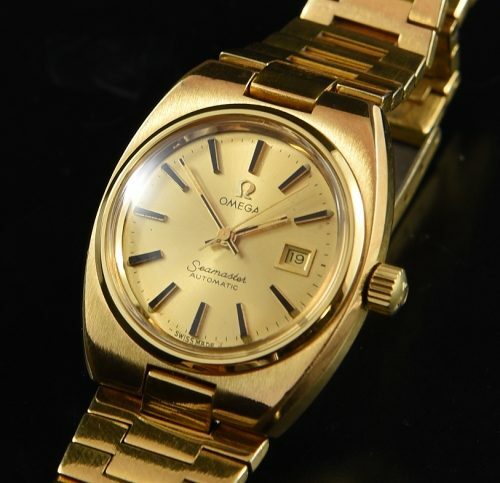 OMEGA SEAMASTER AUTOMATIC ladies watch housed in a gold plated case with steel SEAMONSTER case back and original OMEGA bracelet is very fine. The automatic winding OMEGA movement was just cleaned and is accurate. The OMEGA winding crown is signed. 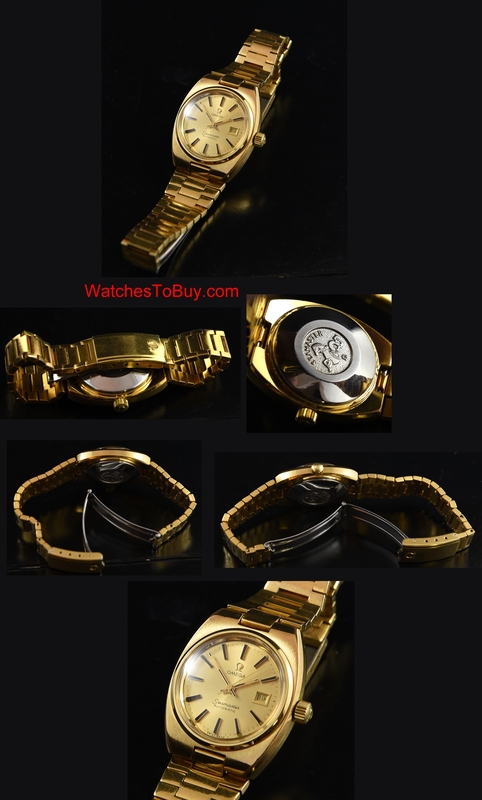 You are going to enjoy the fine condition this watch displays.